Plant of the month. June 2015 ASTILBE – Glacier View Landscape and Design, Inc.
June has arrived and so has the heat! Just in time after May cracked the top 10 for wettest months ever along the Front Range. This month’s plant choice is Astilbe or False Spirea. A great woodside setting plant, loving deep shade, or partial shade, lots of water, even boggy conditions, and quite tolerant of our clay soils. It comes in a variety of colors, red, pink, lavender and white mostly, though several cultivars are throughout that color spectrum. Their fernlike foliage and feathery plum flowers are attractive and showy. They are a great addition to any shade garden, often planted as a border plant in our Boulder Colorado Landscapes. They can range in height from 1’-5’ depending on species and need little care other than perhaps dividing every 4-5 years if overgrown. There are 3 main species that are planted in Boulder Colorado Landscapes up and down the Front Range. 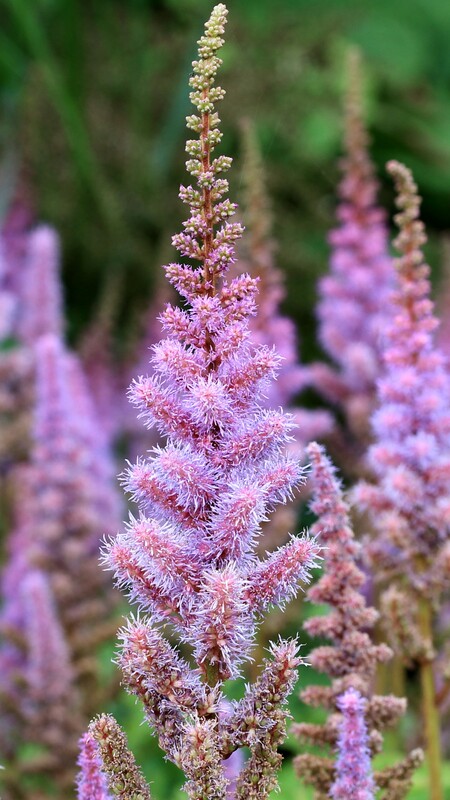 They are: Astilbe chinensis, a low growing mounded perennial with frothy fronds; Astilbe arendsii, a medium sized 2-3’ Astilbe; and Astilbe japonica, a more loose and airy mounded perennial. All are quite similar in size, shape and texture. Astilbe are also great to use as a cut flower to accent other petal flowers such as Daisy, Echinacea, or even Roses. It can be the foliage plant in a flower arrangement, either to compliment or replace Baby’s Breath. Plant some in your shade garden today and give them a try. Groupings of 5 or more, or planted as a border along the bed edge are a great way to enjoy them.